Built for runners of all levels, the Nike Air Zoom Pegasus 35 Younger/Older Kids&apos; Running Shoe has a secure fit that&apos;s breathable and lightweight to help you feel fast on your feet. Responsive cushioning gives you a soft, yet supportive, feeling underfoot. Mesh material is lightweight and breathable. The sock-like sleeve construction with Flywire cables wraps around your foot for a secure fit. 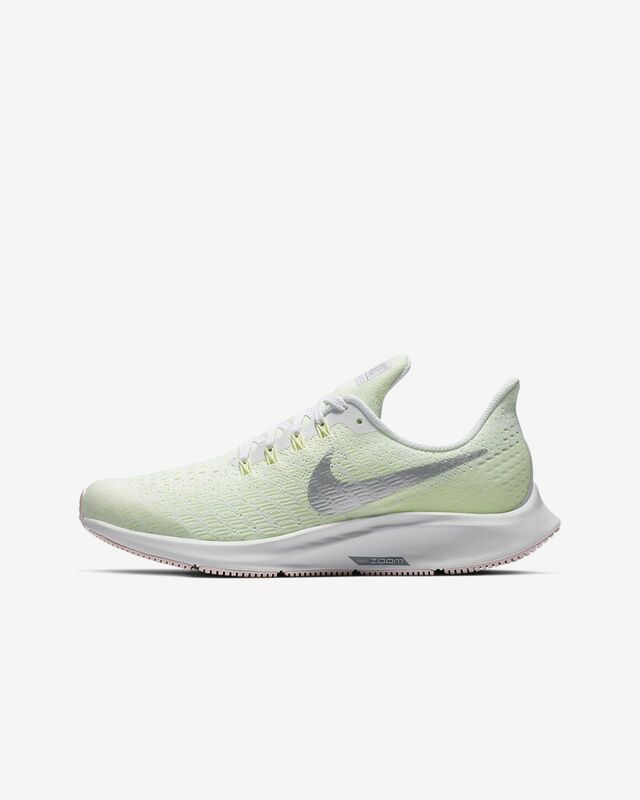 Nike Zoom Air cushioning provides a responsive feel as you run. The angled heel helps quicken your transition from heel to toe. The sole is ultra-flexible to bend with your foot in any direction. Rubber on the bottom adds grip on slippery surfaces. Have your say. 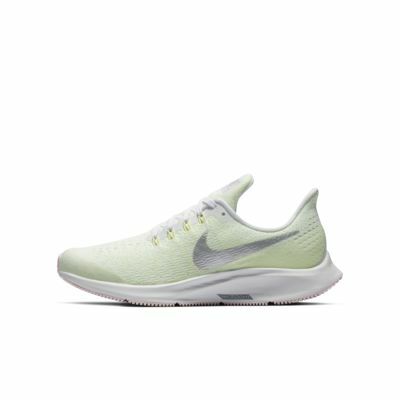 Be the first to review the Nike Air Zoom Pegasus 35.